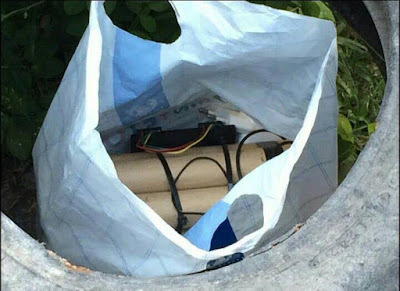 A Facebook post on Bangkok Expats group of a bomb allegedly found in Ladprao, raises concern that crazy people might strike again just like the 2015 Bangkok bombing that killed 20 people and injuring 125. “BOMB found in Ladprao soi 112. Stay away from that area until further notice. NOT soi 12. It is in Soi 112!,” Daniel Wallenberg said on his post. People immediately commented saying it was fake. The “thing” that was found by the road wasn’t a bomb but tissue paper rolls. Good thing it was fake. Otherwise…uh! I don’t want to think about it. Pranks like this, if it’s really a prank, really get on my nerves.